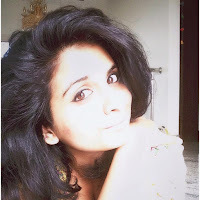 Yes, I was missing from the blog for crazy long! Sue me >.< Life had gotten very hectic, it still is. I am just back from a short one day trip to a flea market. Guess what? Yours truly did loads of shopping! I will show the pictures ASAP okay? I mean c'mon! A girl can never have too many bows, know? 1. There will be two winners. The first winner will win the bow accessories shown in the picture. 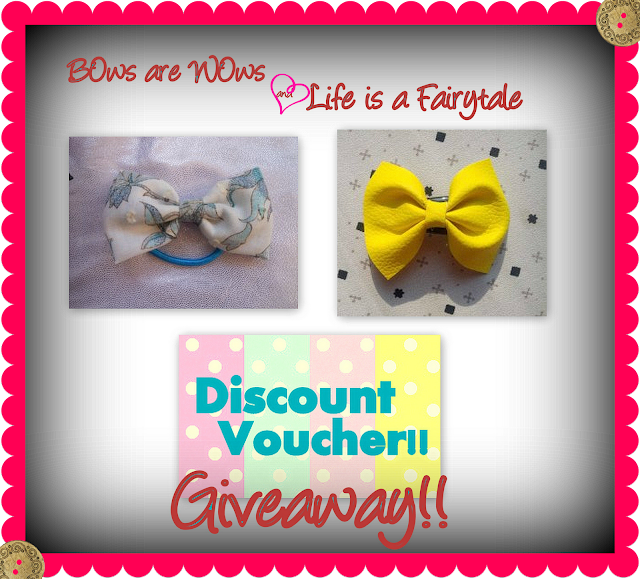 The second winner wins a discount voucher to shop at BOws are WOws. 2. The giveaway will run from today to December 15,2012. 3. The winners will be chosen from random.org by me. 4. All the mandatory entries have to be completed. 5. I'll myself check all the entries, so please don't send in fake ones. FB ids and blogs created solely to enter in will be disqualified. 7. The winners have to reply to my mail within 24 hours failing which I'll pick new winners. 8. Its a sponsored giveaway. The blog/blog owner is not responsible for the delivery of the goodies. If you have any problems with the widget below, or anything, shoot me a mail at lifeisafairytale14@gmail.com. If you want me to hold a giveaway of your products, mail me on the same ID. Awwwesome. Me loves bows. I got so many things with bows on it. Shoes, dresses, headbands. you'll be announcing the winners ON 15th or later on after that?